In uncertain economic times, it is a constant challenge for small business owners to make companies prominent from an unsaturated marketplace. Often, they need to achieve this target with limited knowledge and a small budget. There are certain “golden rules” to abide by to ensure business success. 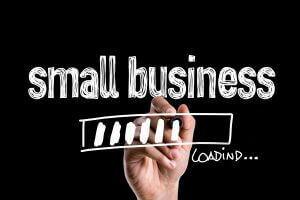 The dynamics of marketing a small business is much more vigorous than it was a few years back. The conventional marketing practices such as print and audio/visual media advertising are growing almost obsolete. The field of online marketing and its various forms has replaced the tried and true practices. Nevertheless, every marketing strategy has its own part and importance. Small business owners need to grasp the significance of achieving consistency in every marketing strategy and bring them together for a solid foundation. Forming a campaign that is successful requires serious work. Small business owners need to follow the designed principles of marketing and abide by the greatest practices in order to gain the maximum benefits from any marketing campaign. When you are operating a small business, self-satisfaction and contentment can become your biggest enemies. It is unexplained how marketing strategies keep changing faster and faster. This is because of the fact that consumers keep on changing their minds and preferences. They wish to purchase products that are the next ‘big thing’ or currently in fashion. The success you received yesterday can mean absolutely nothing today. Therefore, it is important to be on your game in your marketing strategy every single day. Do not consider shrinking your marketing budget because you are doing ‘okay’. You might think that you do not need to put more resources towards your marketing funds. In reality, you need to find new marketing approaches to boost and increase your sales and success. Your marketing campaign starts with five convincing value propositions, leading to a catchy branding slogan. Invest in a logo that is well planned and well designed, a logo that is simple and successfully tells your story. Assess and evaluate your campaigns often. If you are not attaining the expected ROIs, you need to figure out what factors are not working and in what way it can be enhanced. It could be that you need to make some changes to your website, messages and mediums, or customer service. The consumer will never be stagnant, therefore, neither should you. Research has proven that customers make their buying decisions after they have experienced five positive brand experiences or messages. For that reason, it is not only about developing one value message. Small business owners must come up with positive messages frequently. They also need to remember that every message displayed could be somebody’s first message. Try to form your brand inexpensively by means of utilizing important marketing strategies to forward positive messages. Do not devote your entire marketing financial plan on a few marketing channels. In its place, spend on organic search optimization, paid advertising, reputation and public relations management, among others. Think of diversification as your friend. Customers interact with brands through a variety of mediums and various levels of media. With the help of diversification, small business owners can ensure that they will reach out to their customers who have a preference for certain media types. Small business owners need to integrate their internet marketing strategies such as social media, organic search, paid search, etc.